It has come to our attention that numerous Wisconsin voters were incorrectly purged from the state voter file last week. 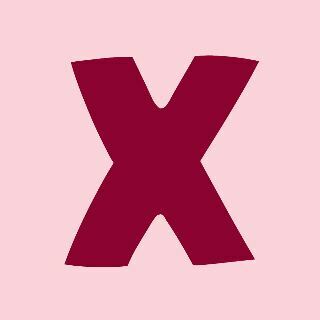 We are looking to document all known incidents of voters who were purged in error. If you have an incident to share, we ask that you fill this survey out at your earliest convenience. We are working to collect details on who was purged to share with the state election officials on the Election Commission, which meets this Friday. Please forward this email to active voters in your community to help us collect information from any voters that were recently purged from the voter rolls. After last week's primary, we received numerous complaints from voters who did not appear on the voter lists at their polling location. When we looked into this, we found out that these voters were not part of the state's annual purge that the Party was made aware of. Instead, they were caught up by a second, unexpected purge by the state using a brand new system for purging voters from the rolls. The details of this purge are very concerning to us because the voters that had their registration revoked did not meet the usual criteria for being removed. They were regular voters and they had not moved. We have already requested details of the purge from the state and have not yet received them. We would like your help gathering information on these purges to share with the Wisconsin Elections Commission, which meets this Friday. The party will also be looking for further information to address recent reports that Russian operatives that breached our electoral systems in advance of the 2016 presidential election. Electoral integrity is key to our democracy, and we are committed to doing all we can to protect and secure our elections. If you have any questions, please contact info@wisdems.org. Thank you for your assistance, we will keep you informed as the situation develops. The Wisconsin Supreme Court Election is right around the corner. Ever wonder why we elect judges or how to pick a candidate to vote for? 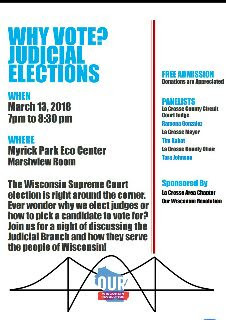 Join us to learn from La Crosse County Circuit Court Judge, Ramona Gonzalez, Mayor Tim Kabat and County Chair Tara Johnson! The League of Women Voters will staff a voter registration and information table in the lobby of the La Crosse Main Library on February 27, 28, and March 6, 7, 8, 13, 14 from 9:00 a.m. to 4:30 p.m.
Do you or someone you know need to register to vote? Not sure if you're registered? Have you moved? Need assistance finding your polling place before the next election? The League of Women Voters of the La Crosse Area can help you register to vote and to get answers on what you'll need before you cast your next ballot. 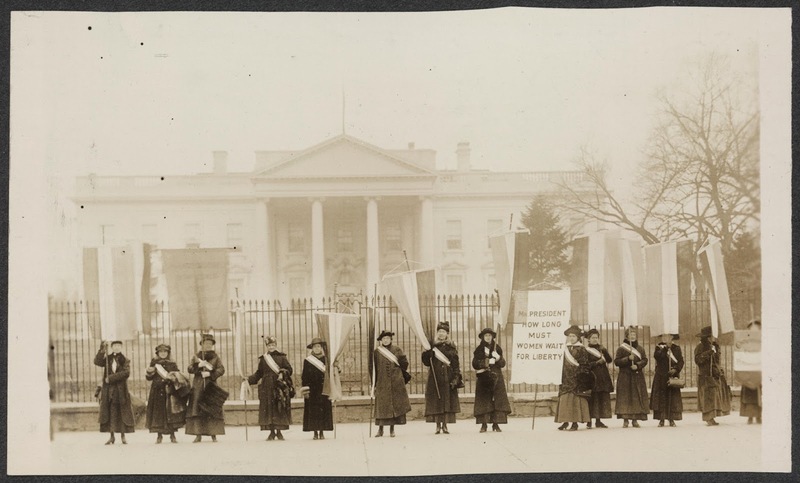 The League of Women Voters is a nonpartisan political organization encouraging the informed and active participation of citizens in government. It influences public policy through education and advocacy. The League does not endorse any political party or candidate. 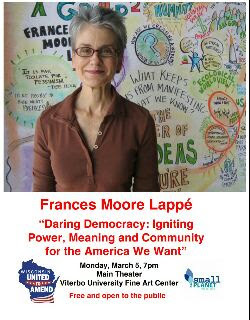 Wisconsin United to Amend-La Crosse and Viterbo University present an evening with Frances Moore Lappé. 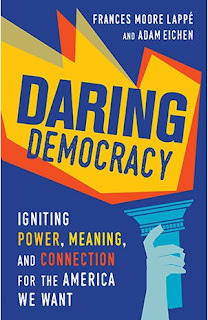 Ms. Lappé will discuss her 2017 book Daring Democracy: Igniting Power, Meaning, and Connection for the America We Want, coauthored with Adam Eichen. They tell the story of how our democracy has succumbed to the effects of money in politics and provide inspiring advice on the ways ordinary citizens can work to revitalize it. This event is free and open to the public and no reservations are required. Ms. Lappé is the author or co-author of 19 books about world hunger, living democracy, and the environment, beginning with the Diet for a Small Planet in 1971, which has sold over three million copies. The Smithsonian’s National Museum of American History describes Diet for a Small Planet as “one of the most influential political tracts of the times." Members of the Women's National Book Association selected it as one of the 75 Books by Women Whose Words Have Changed the World. Gourmet Magazine named Frances as one of 25 people (including Thomas Jefferson, Upton Sinclair, and Julia Child), whose work has changed the way America eats. Her books have been translated into 15 languages and are used widely in university courses. Wisconsin United to Amend-La Crosse is sponsoring this event as a part of their voter information campaign in preparation for the April 3, 2018 referendum. La Crosse City residents will vote on “The We the People” resolution, which seeks to address the 2010 Supreme Court decision known as Citizens United vs. FEC. This decision allows large organizations to give nearly unlimited money to our elected officials with little disclosure, and as a result we question the power of our votes as individuals. WIUTA-La Crosse has brought this resolution before the voters by collecting over 3600 signatures in a petition drive. We hope La Crosse will join over 120 other Wisconsin municipalities who have already passed the resolution by an average of 80%. In doing this we are calling on our legislature to join 19 other states that have already passed the “We the People” resolution. Judge Rebecca Dallet will be the only Wisconsin Supreme Court candidate not endorsed by the National Rifle Association on the April ballot. She's certainly no progressive, but at least she hasn't been endorsed by the National Rifle Association. With low turnout, the NRA-backed candidate received less than 50% of the vote. Republicans would still firmly control the state supreme court if Dallet is elected, but it would be a step in the right direction. Be sure to include time to volunteer for or donate to the non-NRA endorsed candidate on your to do list in March. And please keep talking to people about registering or checking their registration before April just in case the state has purged them from voter registration lists. 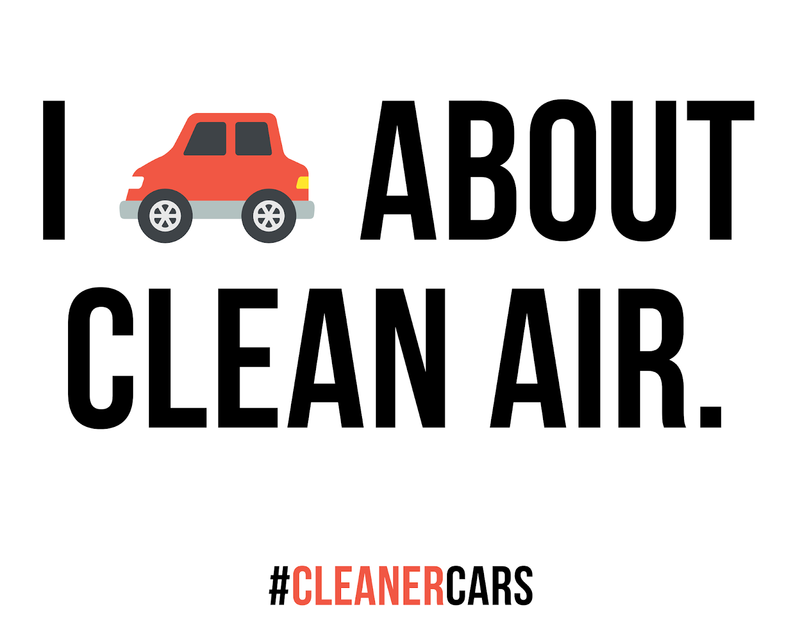 We have decided to POSTPONE the Clean Cars Campaign press conference because of ice and hazardous travel predictions. The event will take place instead at 1:30pm this Thursday, February 22nd, at City Hall. Due to the inclement weather we felt this was the best move to ensure everyone’s safety. The LCDP meeting scheduled for this evening, Monday, February 19, 2018, at 6:30 p.m. is postponed due to a Winter Storm Warning that includes icing and dangerous road conditions. The meeting is rescheduled for Monday, February 26, 2018 at 6:30 p.m. Please phone any members you know to pass on this message. And, if you have not done so, don't forget to vote on Tuesday, February 20, in the spring primary election. 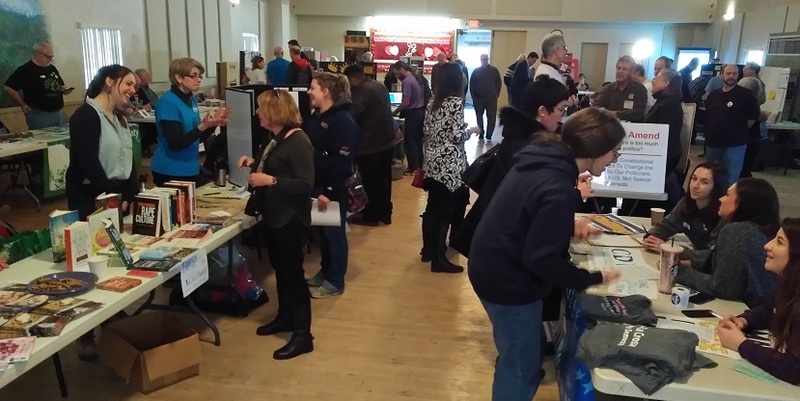 From me: There is still time, apparently, to email chair-at-laxdems-dot-com and get your name on the list to be a delegate to the March 10 Third Congressional District convention in Sparta. If you are not a party member, contact the treasurer to see how you can join in time to be a delegate (contact info at website). This coming week, there are several opportunities for the public to get involved in decisions that will affect our future. Please attend and participate if you can. 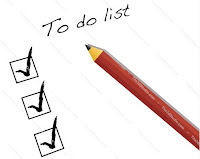 If your event is not on the calendar, please submit it using the form or email couleeprogressive at hotmail. 9:30 a.m Fake News, Alternative Facts and Other False Information a discussion with a La Crosse Public Library reference librarian at the Main Library. 4:00 p.m. Fundraiser for The Center - 7 Rivers LGBTQ Connection til 8 p.m. at Burrachos, 9432 State Hwy 16, Onalaska. 6:00 p.m. Free legal assistance from members of the La Crosse Bar Association. See link for details. At First Baptist Church, Main Street & West Ave.
7:00 p.m. Racial and Cultural Factors in Education, a talk by Dr. Janet Helms in Rm 1309 Centennial Hall, UWL. Janet E. Helms, Ph.D., is the Augustus Long Professor of Measurement in the Department of Counseling, Developmental, and Educational Psychology and Founding Director of the Institute for the Study and Promotion of Race and Culture at Boston College. She is Past President and a Fellow of Division 17 (Counseling Psychology), and a Fellow in Division 35 (Psychology of Women) and Division 45 (Ethnic Diversity) of the American Psychological Association (APA). She received many distinguished researcher awards from many places between 2002 and 2009. She was a recipient of the 2012 Elizabeth Hurlock Beckman Award for mentoring. She has written over eighty empirical and theoretical articles and four books on the topics of racial identity and cultural influences on assessment and counseling practice. Her books include A Race Is a Nice Thing to Have (Microtraining Associates) and Using Race and Culture in Counseling and Psychotherapy: Theory and Process with Donelda Cook (MA: Allyn & Bacon). Her full bio is available at https://www.bc.edu/bc-web/schools/lsoe/faculty-research/faculty-directory/janet-helms.html. 2:30 p.m. Hillview Urban Agriculture Vermiculture Center Tour meet at 921 Ferry St. 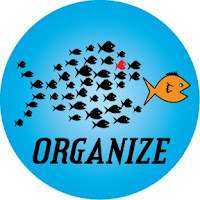 If you usually work for, donate to, or vote for Democratic Party candidates, you really should be a member of the Democratic Party so you can have some say and influence on party policies, priorities, and candidates. Clearly, the messages of the past several decades have still not sunk in with current national party "leaders." 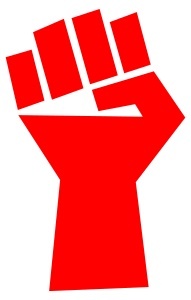 To move forward, an ever rising grass roots movement must push for progressivity among candidates and future plans. Those who are members of the La Crosse County Democratic Party or Vernon County Dems or other Third Congressional District County parties may apply to be a delegate at the March 10 Third CD convention. [UPDATED] Those who are Congressional District delegates are automatically delegates at the state convention this summer. Others may become delegates to the state convention by applying later this spring.This is where state priorities and policies are decided. This is where progressive Dems need to be. 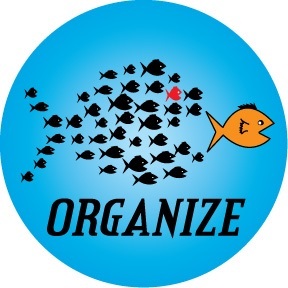 By the way, the first every GENERAL ASSEMBLY OF THE WISCONSIN DEMOCRATIC PARTY PROGRESSIVE CAUCUS will be on Saturday, March 17 in Wisconsin Dells. 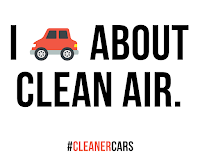 Anyone wishing to car pool, please email couleeprogressive at hotmail. We have an important and unexpected event coming up on March 5. 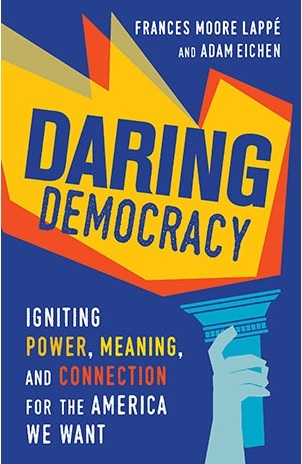 We been reading "Daring Democracy, Igniting Power, Meaning and Connection for the America We Want" by Frances Moore Lappe and Adam Eichen. We are so impressed by the way they tell the story of how our democracy has succumbed to the effects of money in politics and we are so inspired by their solutions to this problem. On a whim, we contacted Ms. Lappe's Small Planet Institute to ask about the possibility of her coming to La Crosse before April as a part of our community awareness and Get Out the Vote plans. Incredibly, within less than a week we have been able to secure Ms. Lappe to to come and speak on March 5 at 7p.m. at the Main Theater at Viterbo University. Richard Kyte, the Endowed Professor of the D. B. Reinhart Institute for Ethics in Leadership at Viterbo expressed immediate excitement at the prospect of bringing Ms. Lappe to La Crosse and performed wonders in arranging a night at their wonderful and very busy venue with receptions before and after her speech at no charge to us. Viterbo will also use their communication network and other resources to help us draw people from across the tri-state area for this event. He expects an audience of over 450 people. Because of Viterbo's generosity we are going to be able to make this event open to the public free of charge. We also plan to send postcards to everyone who signed the La Crosse United to Amend petition. We will need to raise some money to pay for Ms. Lappe's expenses and for the mailing. We are working at recruiting sponsors for this event and requesting donations from area individuals, organizations and corporations.If you can help by donating to help pay for the speaker's fee and/or the mailing, please contact La Crosse United to Amend. We hope you can participate in making it happen and that, most importantly you can attend and you will invite others to do so, too. First, most in our area may vote "absentee in person" at their municipal clerk's office NOW through February 16. Contact your clerk for exact hours. You may register there, too. More specifics at myvote.wi.gov. If you are a La Crosse County Dem party member (you may join now if you wish), you are eligible to apply to be a delegate at the March 10 Third Congressional District convention in Sparta. Those who are CD convention delegates are eligible to apply to be state party convention delegates. Change requires participation. · Answer questions so we all are better informed on how we can work together to turn our state blue. Meanwhile - what's happening among the folks who are not stuck in anti-renewable ReversoWorld. Another example of Wisconsin = backward/Minnesota = foward. How are you building your community's clean energy future? More and more communities, organizations, and individuals are trying to figure out how they can get energy efficiency and renewable energy projects done. Join hundreds of Minnesotans exploring their clean energy options March 28-29 at the 2018 Clean Energy Resource Teams (CERTs) Conference! Who is CERTs? Since 2003, the Clean Energy Resource Teams (CERTs) have been connecting Minnesota communities with the resources they need to identify and implement energy efficiency and renewable energy projects. How are you building your community's clean energy future? Join hundreds of Minnesotans exploring their clean energy options at the CERTs 2018 Conference March 28-29 in St. Cloud. Learn more and register today at http://mncerts.org/2018. 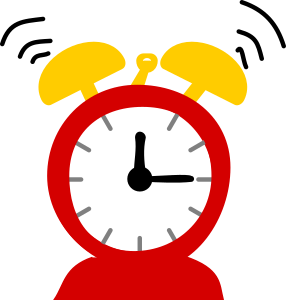 Early bird deadline is 2/14 and sponsor deadline is 3/1. See you there! 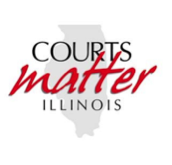 We are circulating a sign-on letter (attached and available here) from organizations and individuals who live in the 7th Judicial Circuit (Illinois, Wisconsin, and Indiana), asking the Senate Committee on the Judiciary to cease all consideration of Michael Brennan, who has been nominated for a lifetime judicial appointment to the US Court of Appeals for the 7th Circuit in Wisconsin. Should Senator Grassley, Chair of the Senate Committee on the Judiciary, call for a vote, we are asking the committee members to vote NO on this nominee. As stated in the letter, Michael Brennan should never have had a hearing in the committee based on procedural matters and precedent. And, of even more importance, his record and stated views would bring a biased perspective on civil rights, women’s rights, criminal justice, and more. If you, as an organization or individual in Illinois, Wisconsin, or Indiana, would like to sign on to this letter, please fill out this google form no later than February 11, 2018. If you know other organizations or individuals in Illinois, Indiana, or Wisconsin who you would like to invite to join us in this effort, please feel free to share this with them. A fair, unbiased judiciary is a critical pillar of our democracy. Letting our Senators know that we care about who they appoint to lifetime positions is important. Please join us in insuring that only highly qualified, unbiased judges serve in these positions. If you have any questions, please contact Carole Levine at: CaroleLevine at comcast dot net. Thanks to all who tabled, donated, and attended our Progresstival on Saturday! We had a great time networking and learning about the great work going on in our community. You generous donations were sufficient to cover the costs of the space rental, speaker fee, copying, supplies and hotspot. We've updated the event page so you can find links to the groups who were there (and who couldn't make it but had signed up). Remember to FILL OUT THE SURVEY!!!! Paul Cienfuegos was impressed by our enthusiasm at the Progresstival and led a great Intro to Community Rights session for about 20 people on Sunday. He will conduct another Intro to Community Rights on February 22 from 6 to 9 p.m. in Tomah. (Contact Katie for details). On March 4, there will be a Regional Community Rights gathering in Sparta **open to those who have already attended an Intro to Community Rights workshop. ** More details and links will be posted as available. 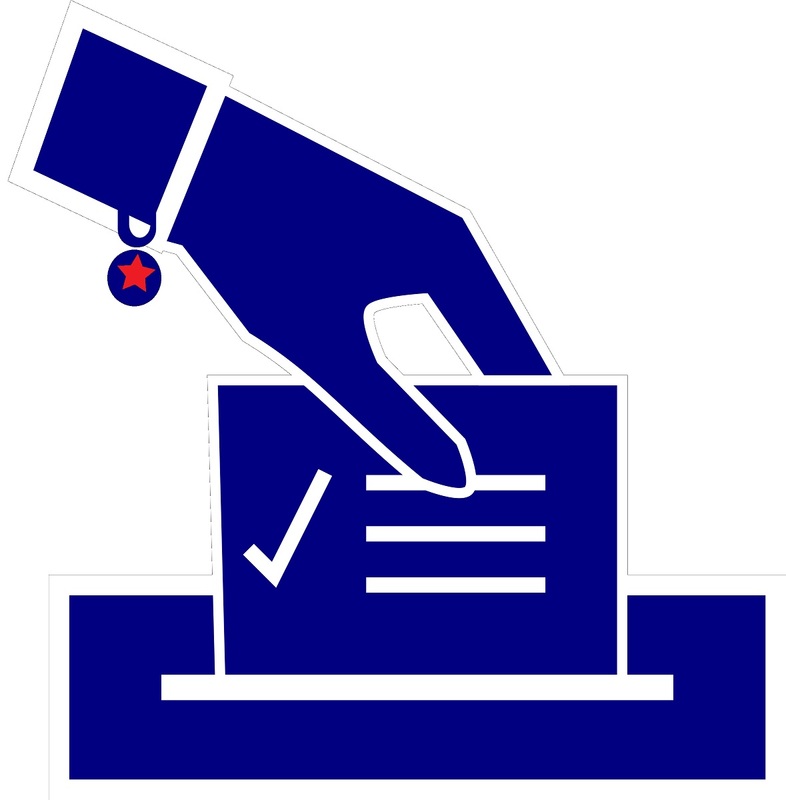 Absentee voting in person begins in many municipalities in Wisconsin. The hours vary depending on where you vote. Contact your clerk for correct info. If you are not registered or need to update your registration, you can do that, too. Here's more info about it from the Wisconsin Elections Commission. In most cases, you may vote (and take your neighbors, friends, and co-workers if everyone votes in the same municipality) absentee in person M-F from February 5 through February 16. 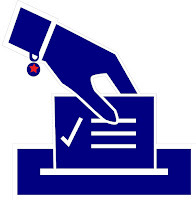 If your municipality has a website, you can often find absentee in person voting info there. Here's info for City of La Crosse, City of Onalaska, and Village of Holmen for example. And for general voting info including where you vote and what's on your ballot, visit myvote.wi.gov. 6:30 p.m. League of Women Voters Book Discussion "One Nation After Trump" at JavaVino. 6:00 p.m. Organizing for Action with the Democratic Party of Wisconsin in the large conference room of the North Public Library (1552 Kane Street). Questions? Contact Molly. 6:30 p.m. ALT TRUTH PROJECT (happy birthday!) presents "An Iliad" at the Pump House. Please help us keep the calendar up to date! If you are hosting an event or know about one that's not on the calendar, please submit the form or email couleeprogressive at hotmail. February 3 and 4! Two great events! In case you missed it, there's a great event happening this Saturday afternoon, 2 to 5 p.m., at the Concordia on La Crosse Street. Hope you can make it to THE PROGRESSTIVAL! More than three dozen organizations will table, we'll have some workshops, a super speaker, and lots of action and interaction! For more details, visit the event page! 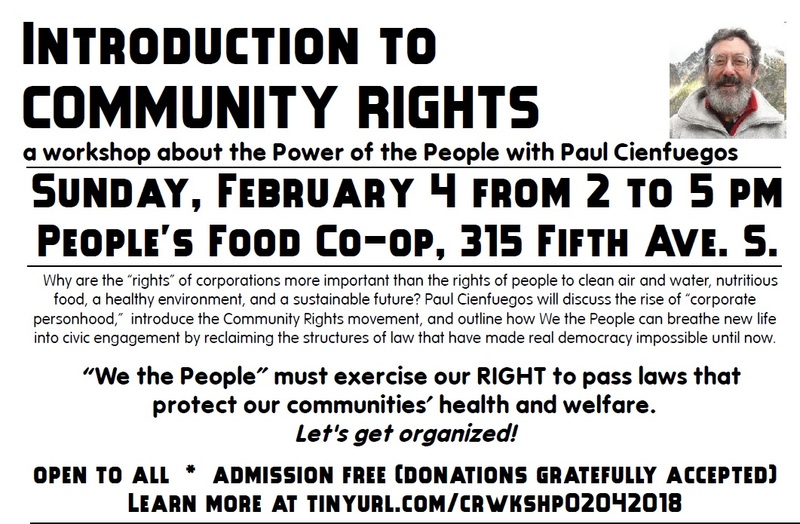 Then, on Sunday, February 4 from 2 to 5 p.m., Saturday's main speaker, Paul Cienfuegos, will present an Introduction to Community Rights. According to the Community Environmental Legal Defense Fund, "Community Rights include environmental rights, such as the right to clean air, pure water, and healthy soil; worker rights, such as the right to living wages and equal pay for equal work; rights of nature, such as the right of ecosystems to flourish and evolve; and democratic rights, such as the right of local community self-government, and the right to free and fair elections." 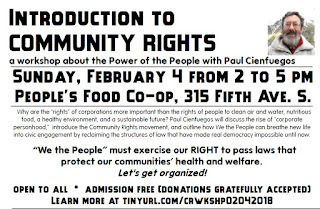 Community Rights US notes, "At the heart of Community Rights US is the belief that We the People rule over corporate interests because the primary legitimate purpose of law and government is to serve and protect our people, our communities, and nature"
This event which will be in the People's Food Co-op Community Room is free though we'll ask for your donation at the door to help pay expenses. For more information, please see the workshop page. If you plan to attend, please complete the form so we'll know how many materials to have ready.